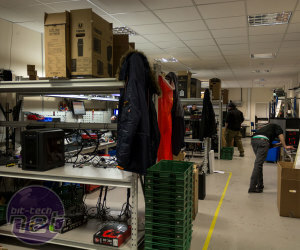 We're sure many of you are very familiar with Overclockers UK given that it's one of this country's top retailers for components, systems and modding gear. 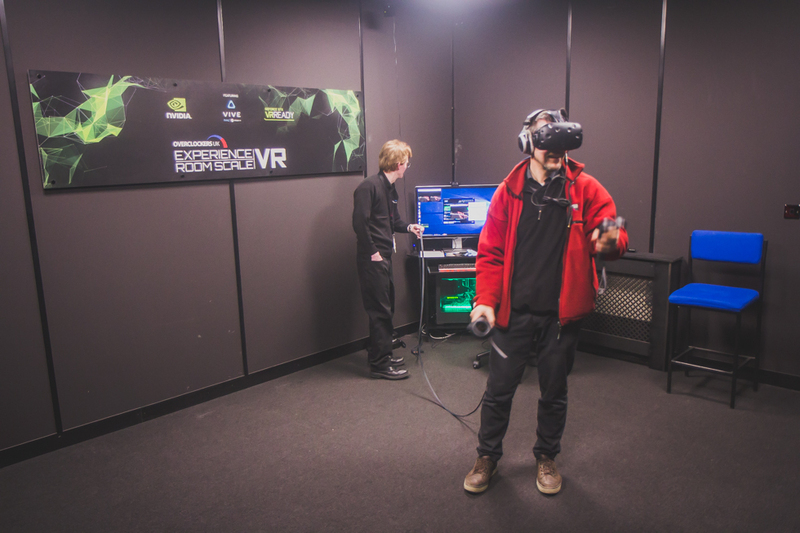 However the company has changed a fair bit in recent years, and we recently caught up with the team to get a bit more detail on this, the projects they're currently working on, and a bit of behind the scenes insight. 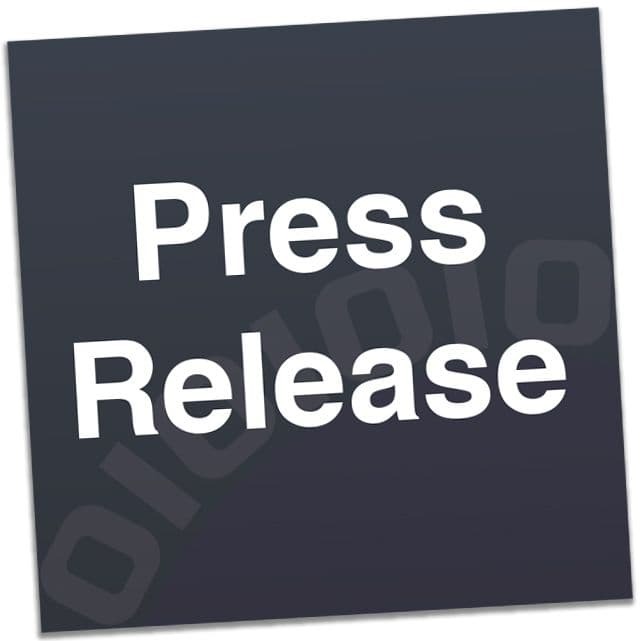 As we reported last week, one of the latest goings on is the opening of a room at the OCUK store that it operates out of its Newcastle-under-Lyme HQ. 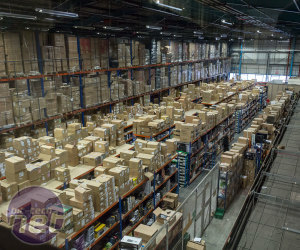 This room may look like a boring square, but customers stepping inside can do all manner of things, from fending off zombies with well-placed headshots to fixing, or attempting to fix, Aperture Science robots. 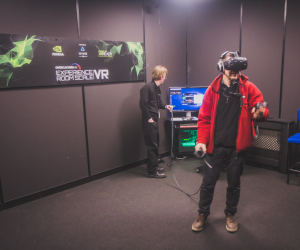 Making this happen is an Nvidia GeForce GTX powered PC and a HTC Vive VR headset, which OCUK is using to give users VR experiences to generate interest in the burgeoning technology and perhaps even generate some sales of its new VR Ready certified PCs. The room is available for 15 minute appointments Monday to Saturday, 8am to 12pm, and so far the response has been decent. The booking website admittedly isn't close to being fully booked out, but OCUK is not based in a major city so this is easy to understand. The photos we've got show the setup, but they can never capture the experience itself. 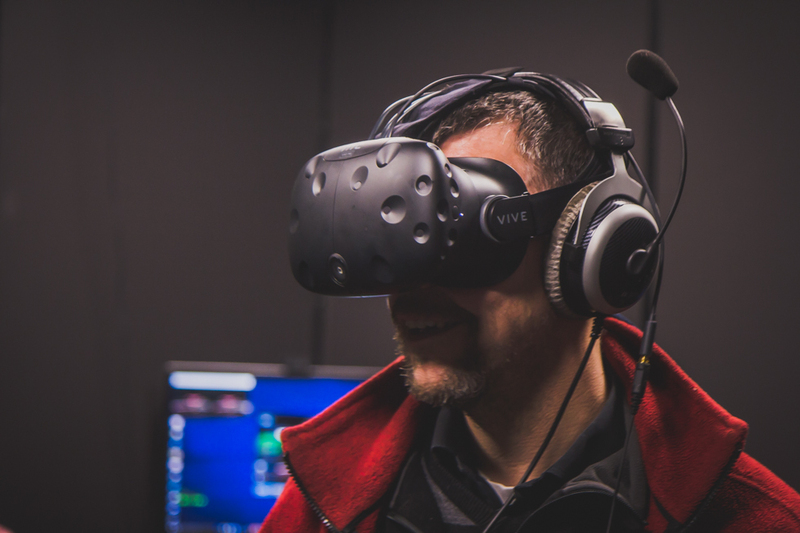 Much like G-Sync, VR is something that has to be seen to be believed, and we know of practically no-one who hasn't immediately loved it (excluding those prone to motion sickness). This sort of community engagement is just one example of how different a company OCUK is compared to, say, five years ago. The biggest catalyst in this change was the takeover by CaseKing, a German component distributor, which happened in early 2012. 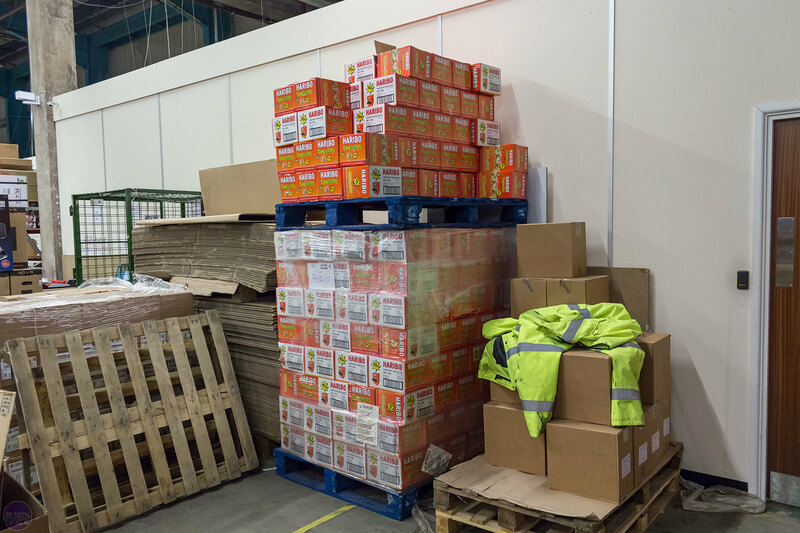 The investment this brought about led to a number of things, such as an increased presence at events, expanding to a larger warehouse space, including the opening of a 100 square metre shop, and a bettering of customer service. This latter point is key. As Steven Levitt, also known as 5UB on the OCUK forums (and not the Freakonomics co-author), told us, OCUK has been on something of a customer service journey since 2012. We know from our own forums that a number of you have had poor experiences in the past with OCUK, something the company doesn't shy away from. 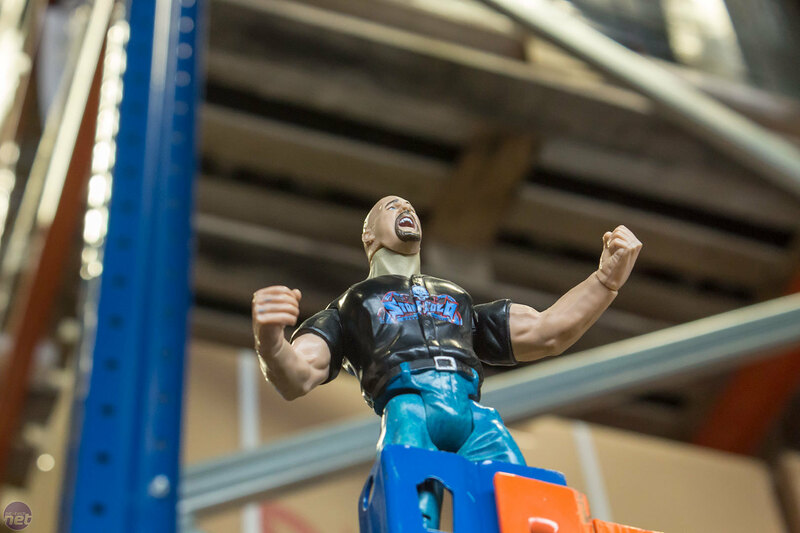 In response, there's been a huge focus and plenty of investment in giving customers a much better experience from initially browsing the website through to the purchase and the support afterwards. 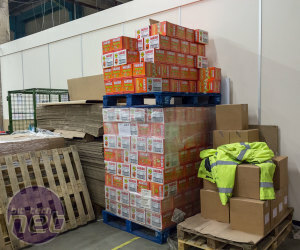 Of course, this includes plenty of big changes, but it also comes down to little things as well, such as being a premium partner with DPD for deliveries so that customers are constantly informed about the status of their order, including a text specifying a one hour delivery window. 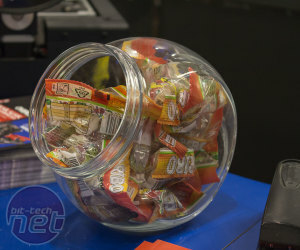 They even ship a small pack of Haribo Tangfastics with every order - not bad since this is obviously the world's best sweet. Larger changes include the recruitment of more staff and a splitting of the support services. 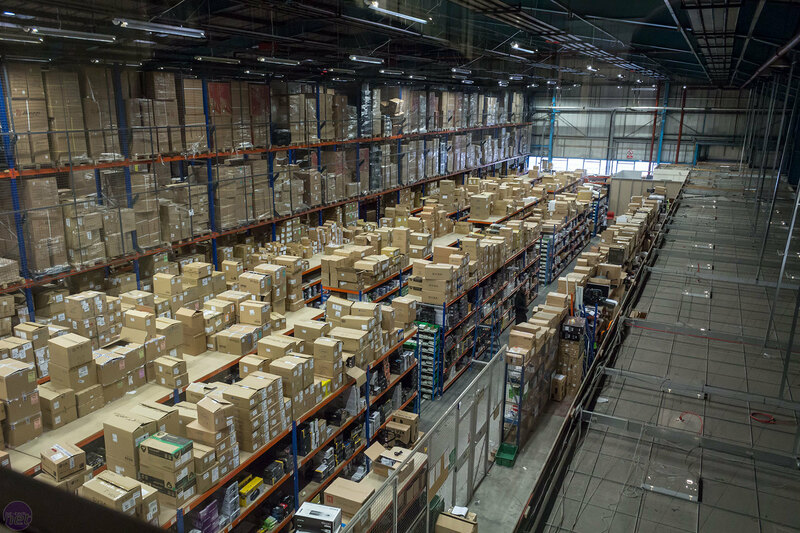 Previously, there was a single telephone line for all customer needs whereas now there are three – sale, component support and system support. There are multiple means of contact as well, including forum support, social media and live chat, which was introduced early last year. In fact, the entire website was revamped last year too and though, as with any change, there has been some resistance, the overall feedback has been positive. On the marketing side, Steven tells us there's also been a big push to expose the brand and the people that make it up – OCUK does not want to be faceless, he says. A big part of this is making themselves known at events in the UK, such as the Insomnia gaming festivals. 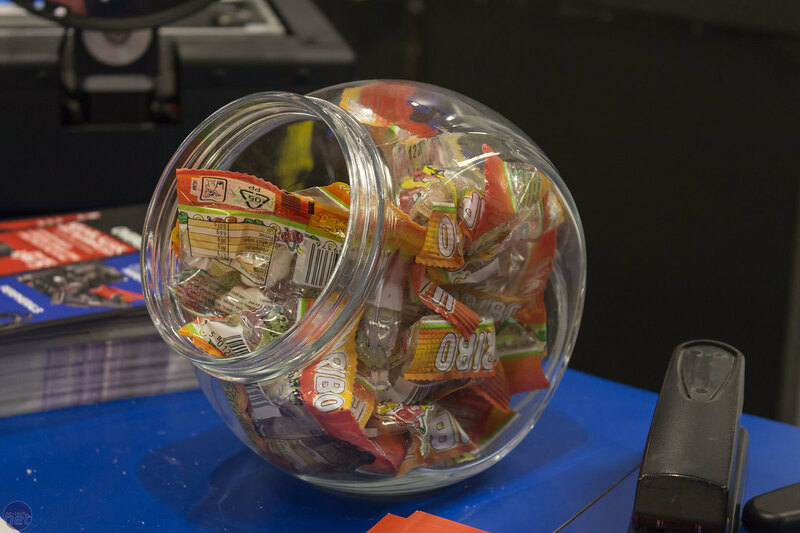 In fact, Insomnia 57 is underway right now for those who prefer gaming to chocolate at Easter time. 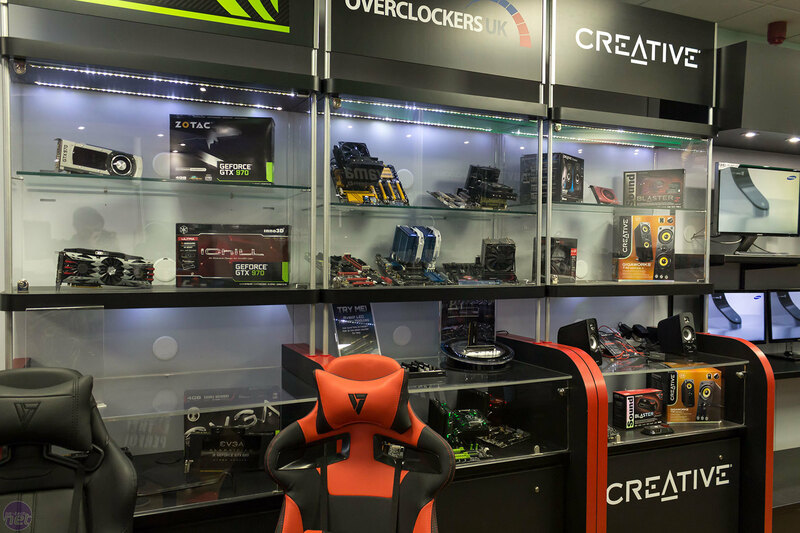 Overclockers UK is there in force, showcasing playable systems, all the latest hardware and offering services like Tech Corner, where staff will help to diagnose and repair your PC for free. 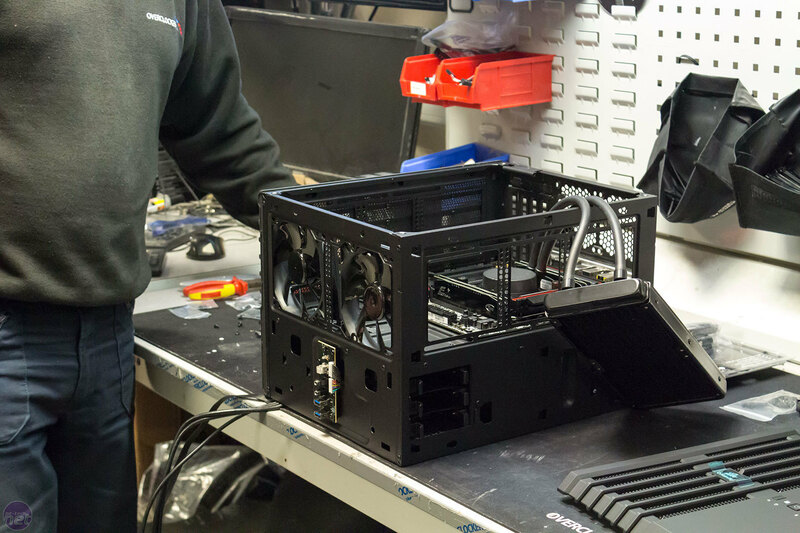 There's also Delivery to your Desk, where customers can order components from the Overclockers website and have them hand delivered to their LAN station. 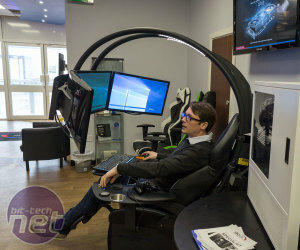 Those staff aren't just hired help either; practically everyone who works at OCUK is a PC gamer and enthusiast themselves, and the company's Steam group, Twitch channel and YouTube accounts are available for anyone to engage and game with the OCUK staffers. 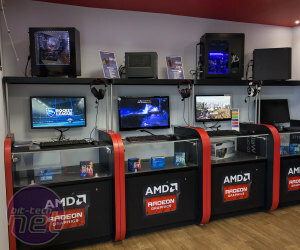 While OCUK does have its own store at the front of its warehouse and office building, its partnership with Game is the company's attempt to push PC gaming back onto the high street. It currently has a presence in 10 stores, but is aiming for five times as many. 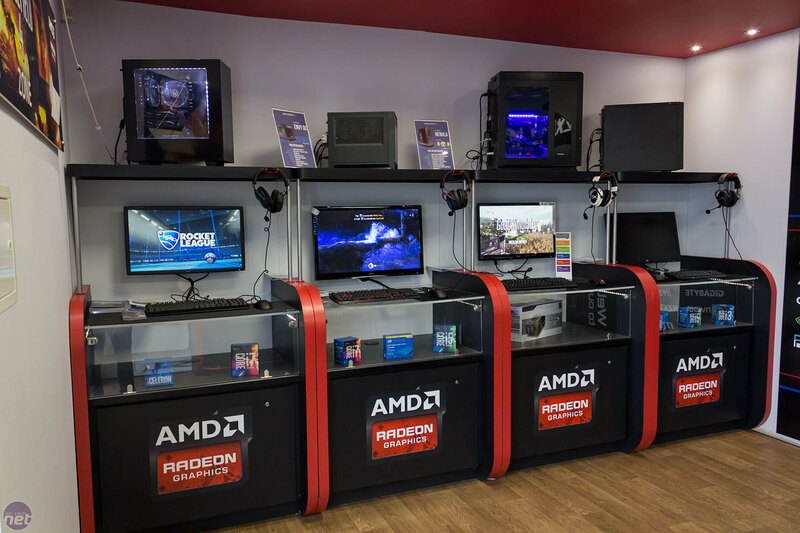 There are in-store displays with playable systems – these are the main push at the high street level. Customers can order for delivery to their house or the store, and returns can also be handled through the Game shop as well. Click to enlarge - Where the magic happens. Well, the system building at least. 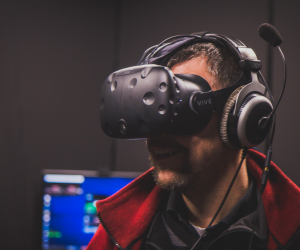 OCUK's range of systems is ever evolving; in recent months we've seen VR Ready PCs rolled out, as well as those themed around specific high profile gaming titles. 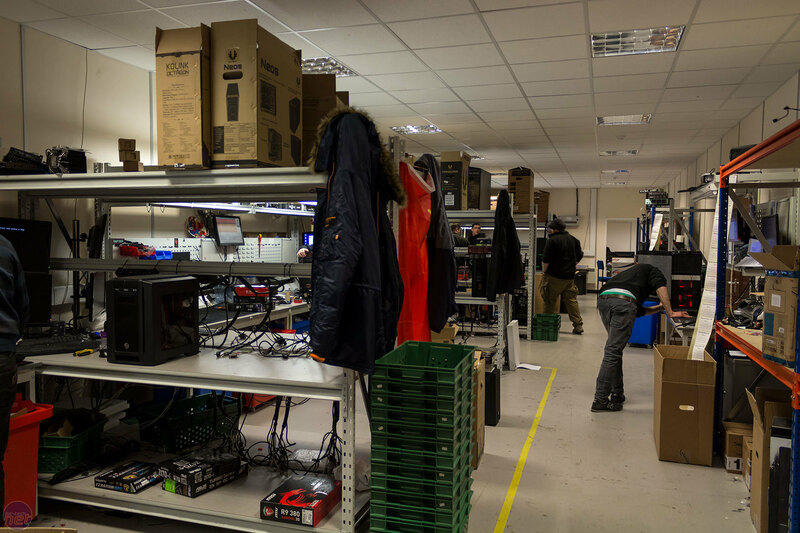 We got a sneak peak into the system integrator part of the building, where all the systems are built and tested. All builders have to go through a couple of interviews, including a hands-on one in order to demonstrate their level of expertise. That said, there's one system builder who's a little different at OCUK and that, of course, is Ian Parry, or 8Pack as he's more typically known. 8Pack is a world-class overclocker, often found in HWBot leaderboards. 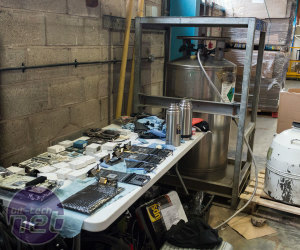 He's also responsible for OCUK's most extreme systems, the 8Pack range, which are designed, built, tweaked to maximum perfection and even hand delivered by the man himself. 8Pack also handles the binning of CPUs to determine which batches are particularly well-tuned for overclocking. 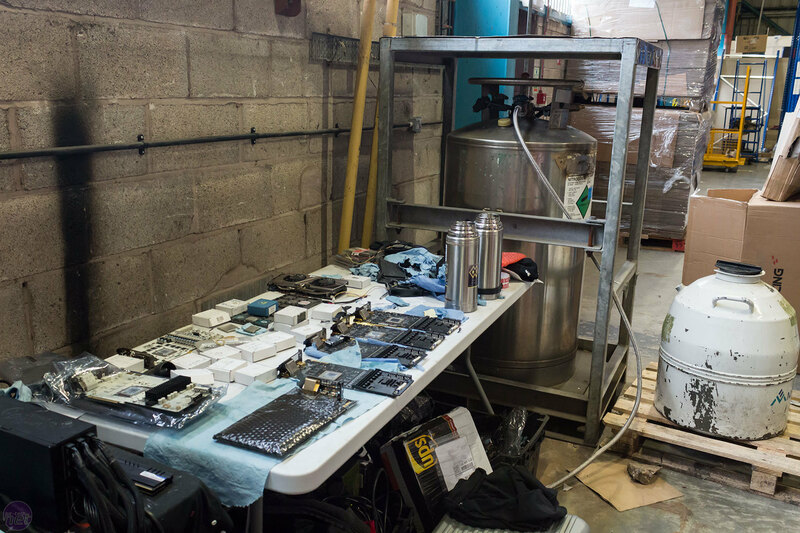 He has a whole corner of the warehouse to himself, where he tests, mods, and tweaks hardware in between pouring liquid nitrogen all over it. 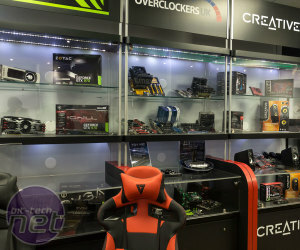 Overclockers UK has definitely changed a lot in the last four or five years, and it seems to be mostly for the better, so let's hope that's a trend that continues. As ever, feel free to share your own experiences and feedback in the comments. OCUK has wasted no time in putting together a system featuring the new GTX 1060. Lian Li, 8Pack and OCUK team up to deliver this monster cases. 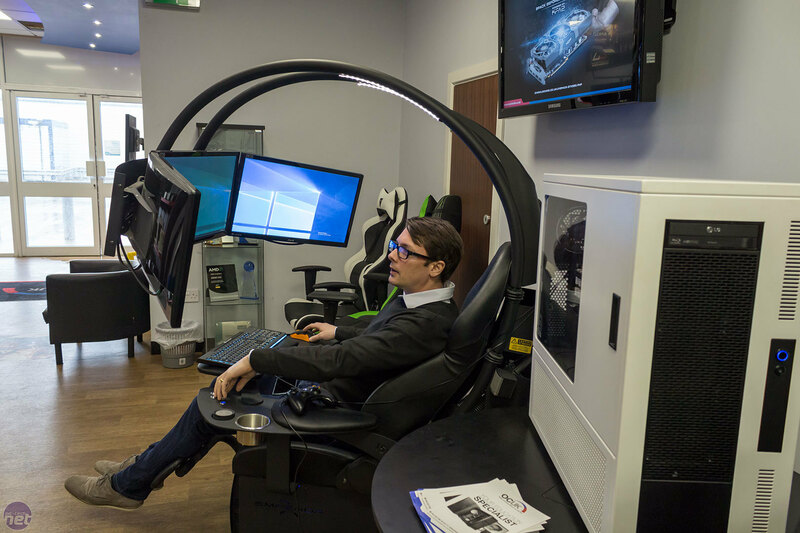 Don't worry, it only costs £500.